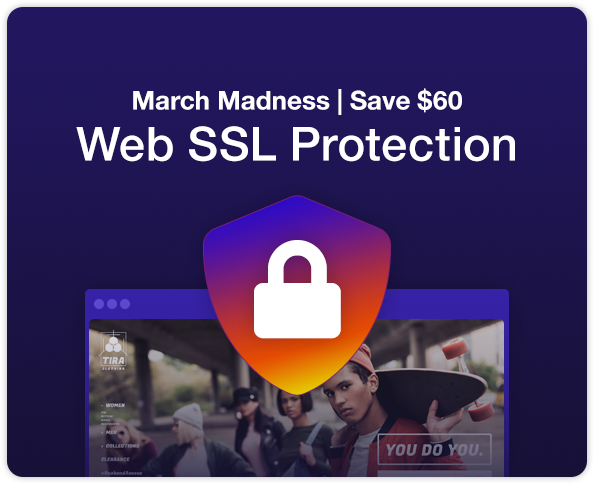 Save $60 & Secure Your Website with SSL Protection. 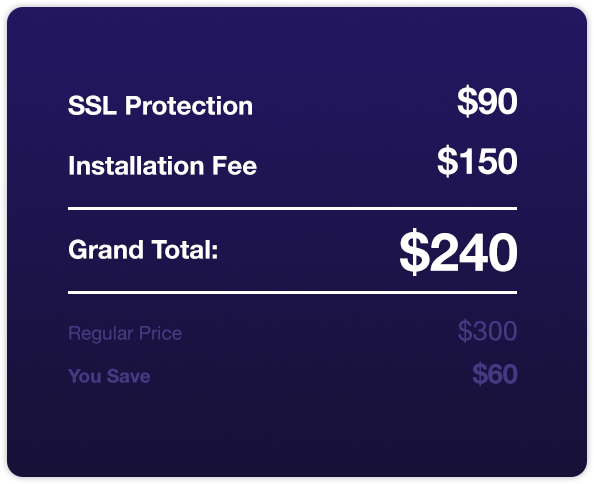 Home > Save $60 & Secure Your Website with SSL Protection. What exactly is SSL? Do you need SSL for your website? How can SSL secure and protect your sensitive data? Let’s dive right in. The recent Equifax data breach has made a lot of people uneasy about the security of their data and personal information online. Hackers were able to access thousands of people’s names, Social Security numbers, birth dates, addresses, and driver’s license numbers. Also, frighteningly, credit card numbers for about 209,000 people were breached. The simple fact is, now more than ever, much of our sensitive info is stored online in some context, which makes it inherently at-risk. You’re probably thinking that if a large corporation like Equifax could be compromised, how can small online retailers or service providers ensure the security of your information during a transaction? Well, one widely used tactic is what’s known as SSL encryption. 1. What exactly is SSL? SSL, otherwise known as “Secure Sockets Layer”, is a cryptographic protocol that provides a secure channel between two machines or devices communicating over the internet. When data, such as credit card numbers or other personal information, is exchanged via SSL, it’s encrypted and secure from interception. When a website has an SSL certificate, data passed between the web server and its browsers can remain integral and private, making it a must have in the modern marketplace. 2. How can you tell if a website is secure with SSL? So, what should you be looking for in order to know if a site you’re viewing has SSL encryption? One simple tell is if the URL begins with “Http”, or “Https”. “Https” means that the website is indeed protected—the extra “S” actually stands for “secure”, so it’s fairly simple to remember. Your browser will also inform you if a website is using SSL, as it’s technically a transparent protocol. Look for a small padlock next to the URL—that will indicate that you’re viewing a safely encrypted site. 3. Why Do I Need SSL? SSL has gone from a smart add-on to a must-have. Beyond simply protecting your customers and clients, SSL encryption will also give you a boost in your Google ranking, which can aid you in attracting more business. If you’re considering launching a website, or upgrading your current protection, Websites Depot can help. We strongly recommend acquiring an SSL certificate for all of our clients, and we’re experts at developing safely secured websites. Call us today at (323) 922-5959, or reach out via contact@websitesdepot.com to learn more about what we can do for your business.